“Fresh reads” offer students the opportunity to demonstrate mastery of weekly skills. 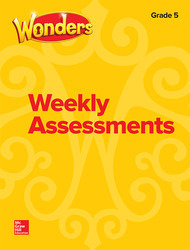 New stories each week for the evaluation of comprehension skills, phonics, vocabulary, grammar, and more. Includes text-dependent questioning that encourages students to rely on text evidence for the correct answers.